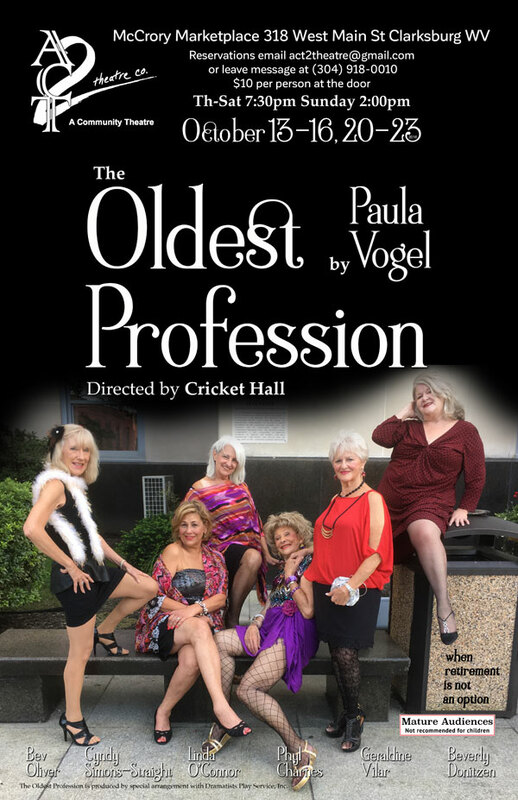 ACT 2 Theatre Company opens its 2016/2017 season as West Fork Unitarian Universalists’ own Cricket Hall directs “The Oldest Profession”. Performances will be October 13-16, 20-23 at the McCrory Marketplace, 318 West Main Street, Clarksburg. For reservations write act2theatre@gmail.com or call 304-918-0010.